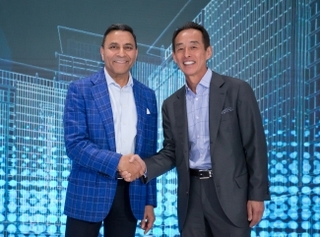 17 August 2016 – HARMAN International Industries, Incorporated (NYSE: HAR), the premier connected technologies company for automotive, consumer and enterprise markets, announced its newest addition to the AKG N-SERIES family of headphones, the AKG N40. The AKG N40 delivers a superb audio experience, reproducing every detail of a music track, from crystal highs to deep bass, as musicians and engineers intended it to be. Featuring carefully selected dynamic driver and balanced armature driver, the AKG N40 is a combination of craftsmanship and sound expertise. 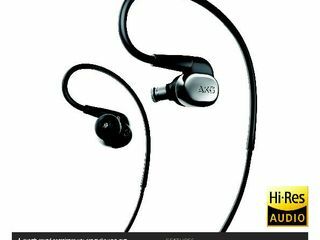 Certified for Hi-Res Audio® by the Japan Audio Society, the superb audio experience is greatly enhanced with the AKG patented sound filters technology. The headphones’ three sound filters enable customized sound, letting the user fine-tune their listening experience according to personal taste. Customizable options include increased bass, linear sound and boosting the song’s highs. 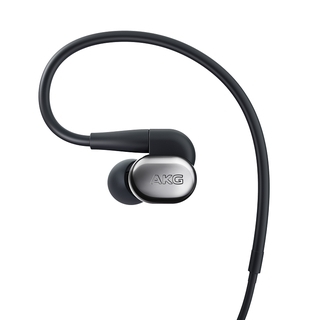 The AKG N40’s sophisticated and comfort-driven in-ear design contains premium materials, including stainless steel and soft rubber ear tips. 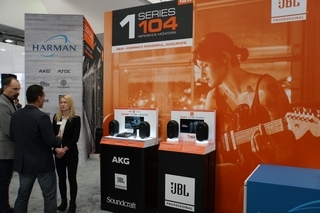 The behind-the-ear form factor guarantees maximum comfort and a world-class, accurate listening experience. AKG’s N-SERIES family of headphones features a range of products designed with careful attention to sophisticated material and comfort details. The headphones employ innovative technology to deliver a top-notch experience in sound and usability. The AKG N40 will be available for purchase online and in-store at select retailers for €399,- in the color silver, starting end of August, 2016.